Time again to check in the Nightstand to see how much progress we've made and to set reading goals for the following month. This meme, by 5 Minutes for Books, really is fun. I find it a good way to keep myself on track and set reading priorities for each month. Last month I was "out" having a baby. So this month I get to start with a clean slate! That's always kind of fun. I definitely slowed down on the review copies in the last few months for a few reasons. The first reason is that I expected (and indeed have) less time to read than when I was in my two-children-phase of life. That said, I am not a crafty person and don't have to divide my project time up between sewing and reading, for example. Reading IS my vice and it doesn't have to stop completely. I do read a bit slower but I'm still reading. 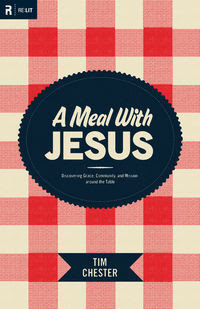 A Meal with Jesus : Discovering Grace, Community, and Mission around the Table is a new title from Crossway Books which caught my eye. I've gotten started on this one already and should have it completed sooner rather than later. When Praying for Your Future Husband : Preparing Your Heart for His (new from WaterBrook Multnomah) arrived in our mailbox, Jonathan asked me if there was something he should know about. I was just curious. I still like reading books from the single's perspective. Plus, now we have a daughter and I'm curious to know what Gunn and Goyer have to say about praying for your future spouse. Thoughts forthcoming! Unbroken : A World War II Story of Survival, Resilience, and Redemption came highly, highly, highly recommended by Amy at Hope is in the Word. If you click that last link it will take you to her post wherein she makes the prediction that this will be one of her top reads in 2011. Now - I ask you! - how could I resist a statement like that?! I ordered the book before Bookworm3's arrival and I'm hoping to get to that in the next month. Lastly, I'll mention a book that Stephanie at Stephanie's Mommy Brain recommended. (Click on that last link to read her thoughts.) Several of you read and seemed to really love this book. Stephanie's reaction to it put me over the top and I snatched a copy up intending to read it post-baby. Well, it's post-baby time now! I trust you, Stephanie! Other than these books I should point out that my thoughts are starting to shift towards the Chronicles of Narnia Reading Challenge which I will be hosting again this July. I'm currently trying to narrow down my reading list for June/July. If you'd care to join in, I invite you to start thinking on what you will read either alone or with your kids this summer! I'm definitely looking forward to it! Stay tuned for more info on that. 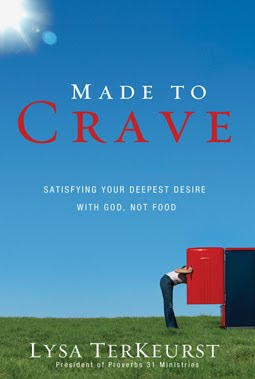 Made to Crave is one I should probably pick up -- I've seen reviews of it here and there. Looking forward to the Narnia challenge. I am actually trying to get more reading time in...which just means less computer and tv time. Sometimes for me is just picking up the book the first time and giving it enough time in one sitting to get into it. Your month ahead looks great...and varied! I'll be interested to hear your thoughts on Meal. I thought that book looked very interesting when I saw it. Unbroken is on the LOOOONG list of books I want to read. Made to Crave, eh? Sounds like a title I could use. I exercise with great discipline, but the fuel I give my body ain't the best. 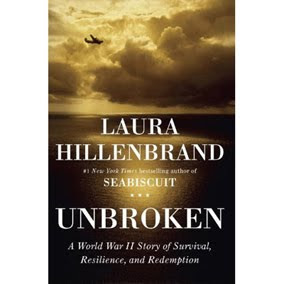 So intrigued by Unbroken - definitely want to read that one! I recently read I Kissed Dating Goodbye and Boy Meets Girl in anticipation of daughters dating and marrying. Mine are closer than yours (14 and 19) and I am getting a late start but they were very helpful in I know what I am giving them to read is good sound christian advise. 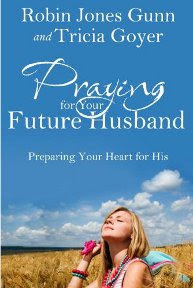 Praying for your future husband...sounds like something I should give my 19 year old. Love your list! I'm looking forward to your thoughts on Unbroken. I'd like to read it at some point. I'm about to start A Meal With Jesus...it looks good! Unbroken is one I've been wanting to read too. As well as Made to Crave. Hope you’re enjoying that sweet little baby girl! I also really want to read Unbroken. And congrats on the new little one! I just finished reading Unbroken. Wow... it was definitely a difficult read. Prepare yourself there are times you will want to set the book down. But the end makes it so worth the read. It was one of the most powerful books I've read in 2011. Hope to review soon. I was wondering when you were going to do your Narnia challenge (I'm sure it's the same time every year, but I didn't want to research). Anyway--Kyle is doing really well in reading, so I want to read the first one or two aloud and see what might come of it! I just started Made to Crave as well. It looks really, really good and just what I need right now. I'm listening to "Unbroken" right now--you'd probably like "Lost in Shangri La," that I've reviewed this month. Have you seen "Family Meal Table" by Nancy Campbell. I found her voice and personality creepy in the dvd (she's a lightening rod figure, too) but the message is good. Just started reading Made to Crave after reading/hearing similarly high praise. Looking forward to your thoughts on it as well. Unbroken is on my to-read list as well. Sounds like a lot of people are trying to read it! 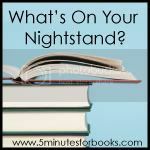 It's fun to see how books travel around the blogsphere. Fascinating list--I'm pretty much interested in every item.